Hi everyone and welcome to Love, Tanya! This book is really close to my heart, because it's inspired by my journey to becoming confident and feeling happy about who I am. I wanted to write a book to share the things I've learnt with you - to reveal my top tips on fashion, beauty, love, friendship, YouTube... and loads more! Plus, there is room for you to list your own hopes and dreams alongside mine - so get creative and get involved! I'd love it if this book became a keepsake you can turn to whenever you need some guidance of even a little pick me up. I hope you enjoy it! 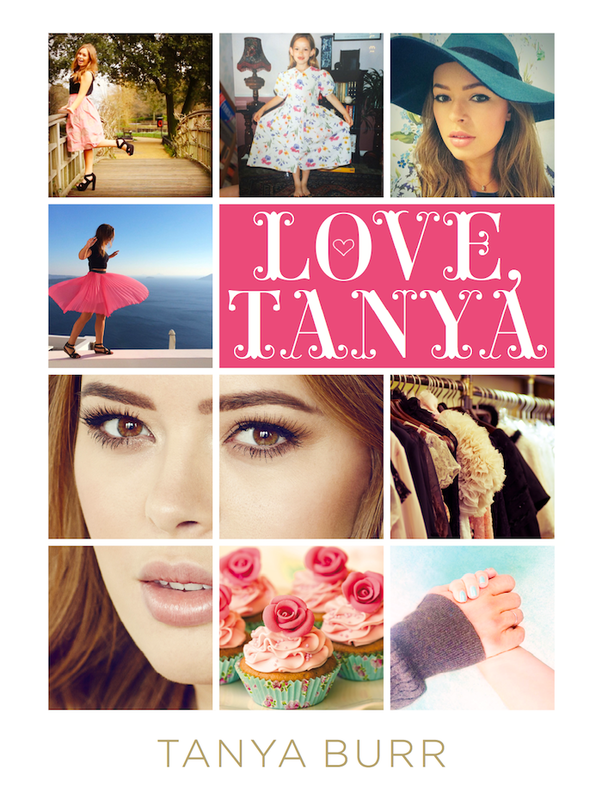 Earlier this week I revealed the prologue of Love, Tanya, as well as an exclusive photo from the book. You all went mad for it and, trust me, so did I when it pinged into my inbox. Needless to say, I'm not one of those people who thinks YouTubers shouldn't have books - quite the opposite! The more, the merrier, I say, and I love the diversity, fresh ideas, and new readers they're bringing to the bookish world. 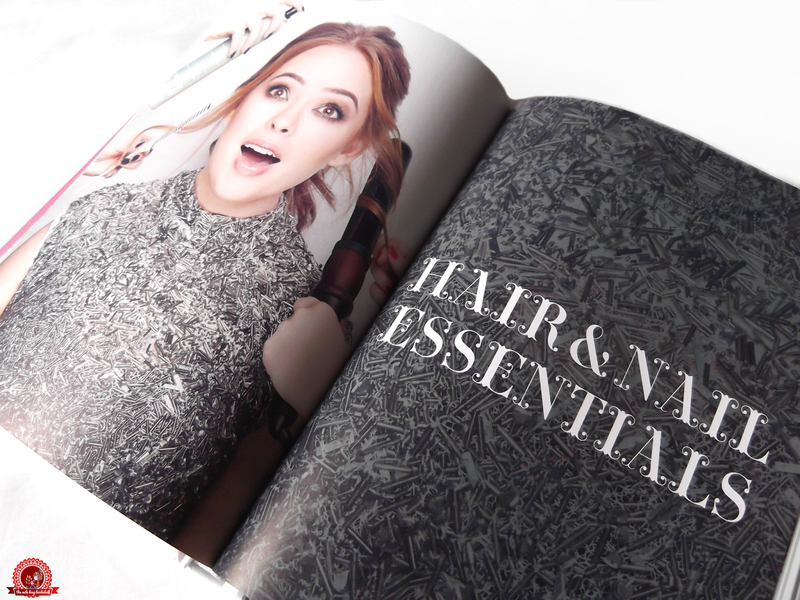 This particular book is by one of the UK's leading lifestyle vloggers, Tanya Burr, and she has nearly 2.6 million subscribers to her name. 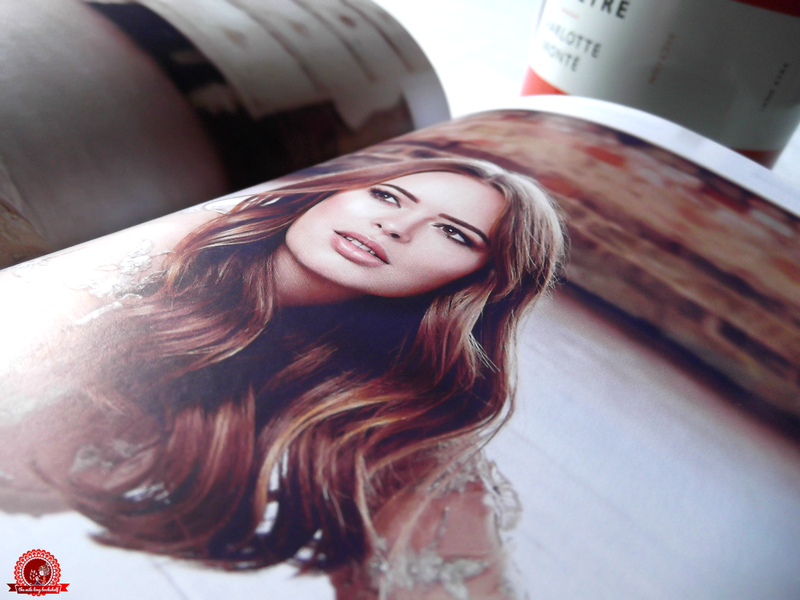 She also has her own make-up range with Superdrug - how cool? 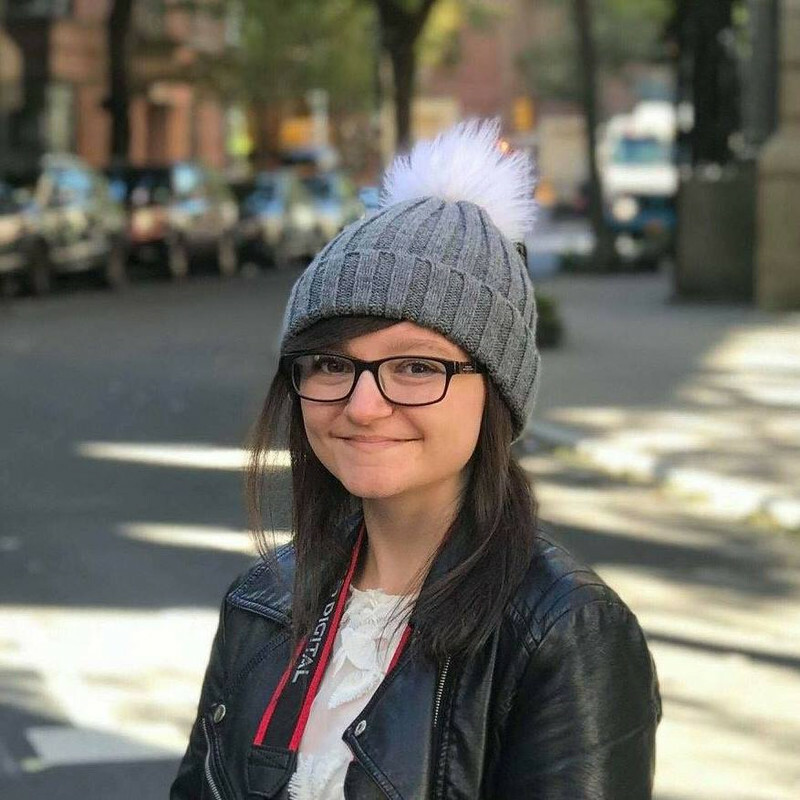 I've been watching her videos for a year or so, now, and she's always seemed so lovely and genuine, as well as having a really interesting life. In short, she's the perfect person to have written a book. Love, Tanya covers a wide range of topics, from beauty, books and baking, to bigger things like feminism, self-confidence, and mental health. I loved reading about all of these things, and it was also interesting to hear about Tanya's travels (she's been all over the world!) and her childhood. Plus, it is a beauuuuuutiful book! It's hard to review non-fiction, so I'm going to tell you four of my favourite things about the book, in no particular order. The first is that Tanya happily called herself a feminist numerous times which, having such a big following, is very important. Because she's such a high-profile person, this can definitely make a dent in the stigma surrounding it. The second thing I loved is that she talked loads about growing up in Norfolk. I don't live far away from where she used to live, and our area is basically fields, fields, tractors, and... did I mention fields? It's barely on the map and it's never mentioned in books, so it was awesome to read about somewhere I know like the back of my hand. Reading about her memories of childhood holidays at places like Holkham Hall and Southwold was even weirder, because I have really similar memories of childhood holidays in the same places. 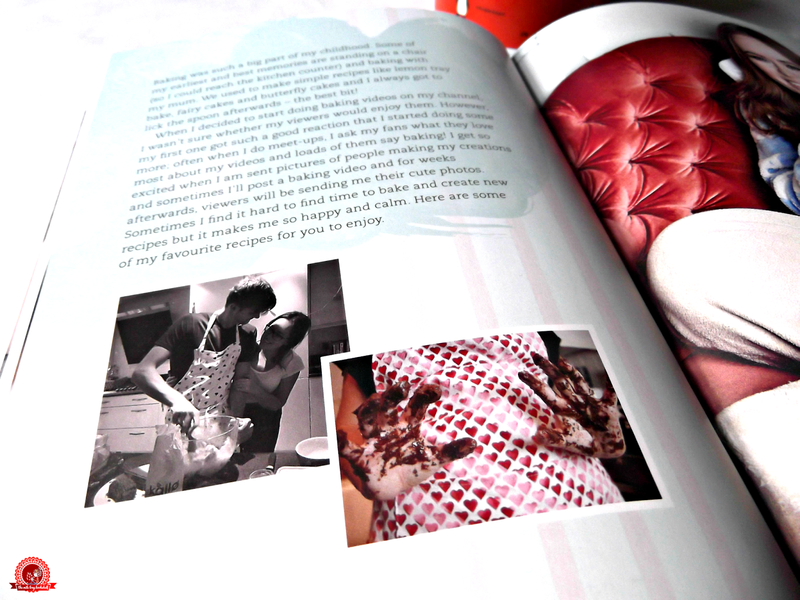 The gorgeous recipe pages are third on my list. I'm such a fussy eater so recipes in books and magazines hardly ever appeal to me, and I tend to skip them. However, for once in my life, I actually like the look of everything included, and I can guarantee I'll be cooking some of Tanya's creations in the near future. If you're still unsure about this book, there are two cookie recipes, guys. She could have just given us one cookie recipe, but there are TWO. And you can never have too many cookies. Tanya's chapter on anxiety is my fourth favourite thing because, as you know, I have it and I'm all for ending the stigma and helping other people who have to deal with it. The chapter included her own experiences as well as tips her therapist gave her which I hadn't heard of before, so they might come in useful to me and to many of you. 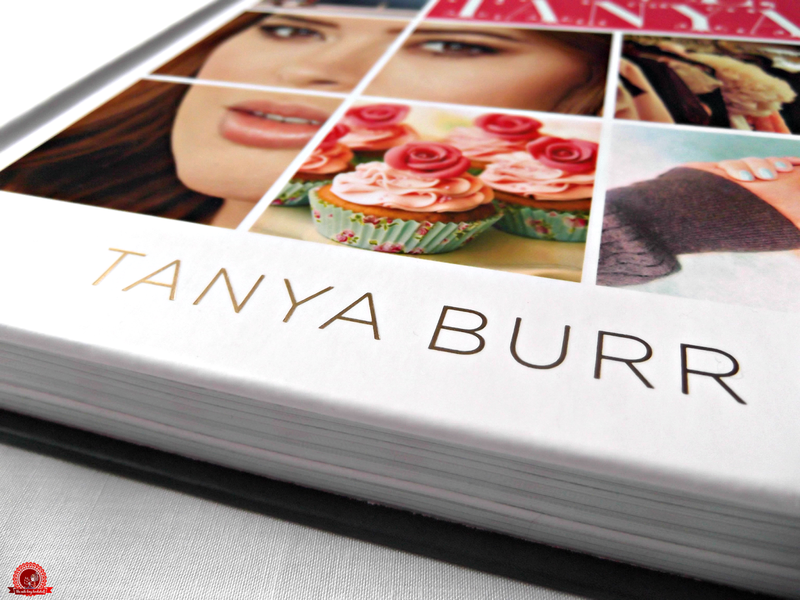 Filled with stunning photographs and a positive message to boot, Love, Tanya is the perfect companion to Tanya's videos and a gorgeous addition to anyone's bookshelf. A lovely review Amber. I was worried the book might not be as good as everyone hoped. I'm seriously thinking of buying this now as a present for daughter and teenage nieces - thank you. Great review, I pre-ordered it the other day and was kinda iffy about if afterwards but I'm glad I did now!